We’d like to wish you a happy Valentine’s day from the bottom of our hearts! Spring is right around the corner, and with warmer weather comes the return of many common pests. 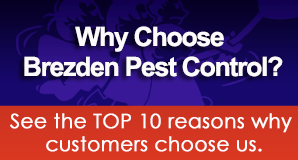 Brezden pest is here to help you with regular service, a pest library page, and more. We are one of the top rated pest control providers in the San Luis Obispo area. We have been in business since 1980 and we can tackle any pest problem, large or small. 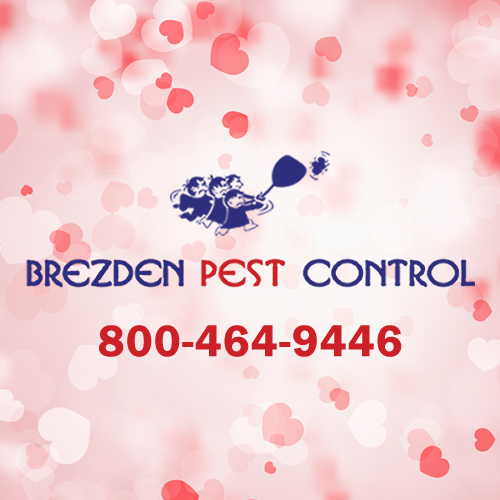 You can always rely on the licensed pest control contractors at Brezden to take care of your home and solve your pest problem. We are available seven days a week, with same day availability Monday through Friday. We practice professional learning with our technicians, keeping them aware of new developments in the pest control industry. We also offer education to clients and other visitors on our blog. Our services are guaranteed in writing, and we can remove just about any pest, including flies and other flying insects, beetles, roaches, ants, and bigger pests like birds, bats, and rodents. We can also remove dead animals from your property and dispose of them safely. Friends, stay safe, warm, and free of bugs this Valentine’s day. Celebrate the people you love and enjoy their company. If flies or other pests do show up, don’t let them ruin your evening together. Call the experienced professionals at Brezden for an immediate response or to schedule a free estimate for more long term services. Q: What should we do if we find a dead animal on our property this winter? A: Depending on how severe our winter weather is, you might find several dead animals outside your home. Some might also manage to crawl inside before they die. One sure way you have of sensing their presence is the smell. Do not touch any dead animals, or let your pets or children get near them. Call our pest control team for all your dead animal removal needs. Q: The house seems to be creaking a lot – what could it be? A: Termites may have invaded and weakened the structural integrity of some of your wood joints. Call Brezden for a termite inspection and termite treatment. Q: What should I do if I spot a mouse in my house? A: It is always best to let pest control professionals assist you with a mouse problem. Don’t panic, just give us a call, we will come out and inspect your property and implement a mouse eradication plan for your home. If you are set on dealing with it yourself, be sure to follow standard safety precautions when handling their droppings.